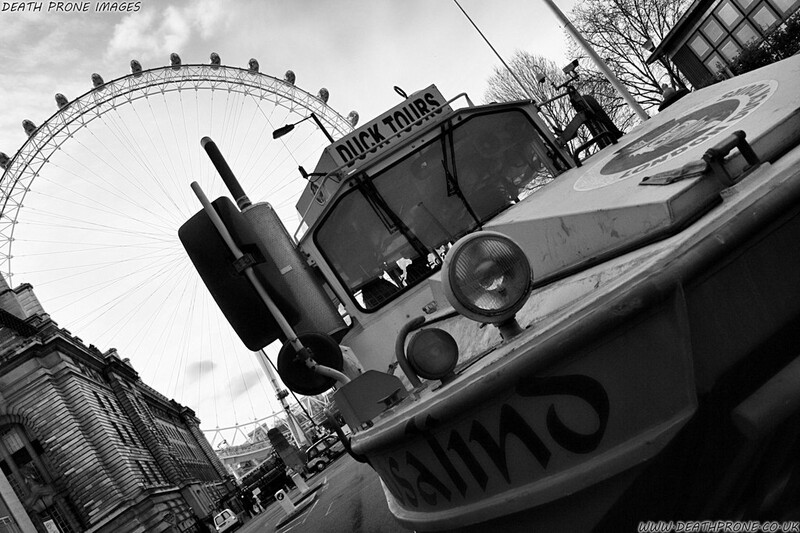 This is one of the nine London Duck Tours Amphibious vehicles that give tours around London both on land and along the Thames. 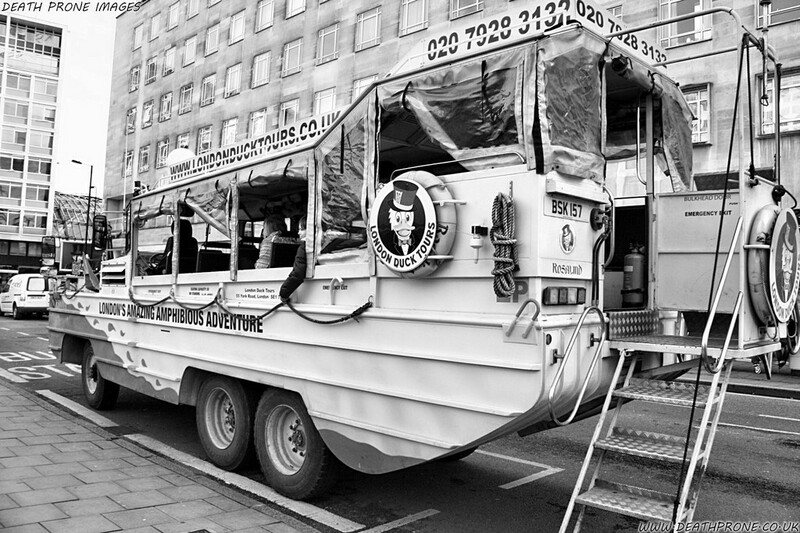 The tours are done in a DUKW. Last time I heard the tours had stopped, but hopefully will be returning soon. 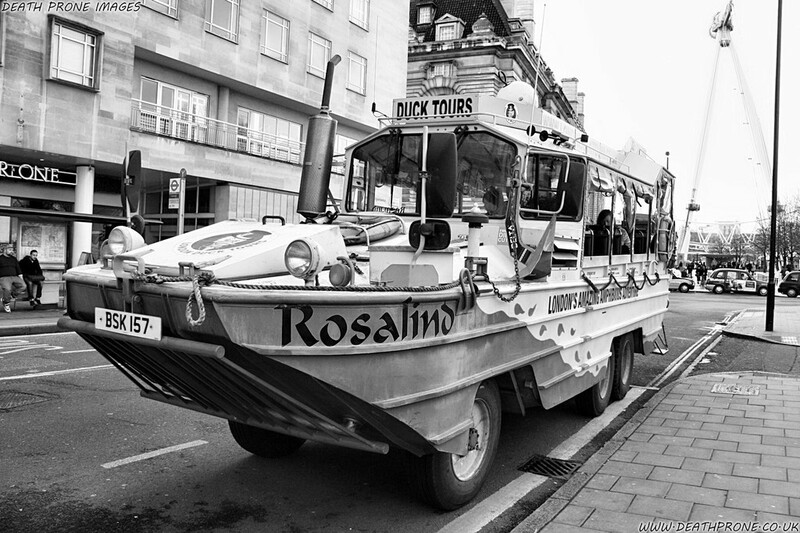 This Amphibious Vehicle is named Rosalind. 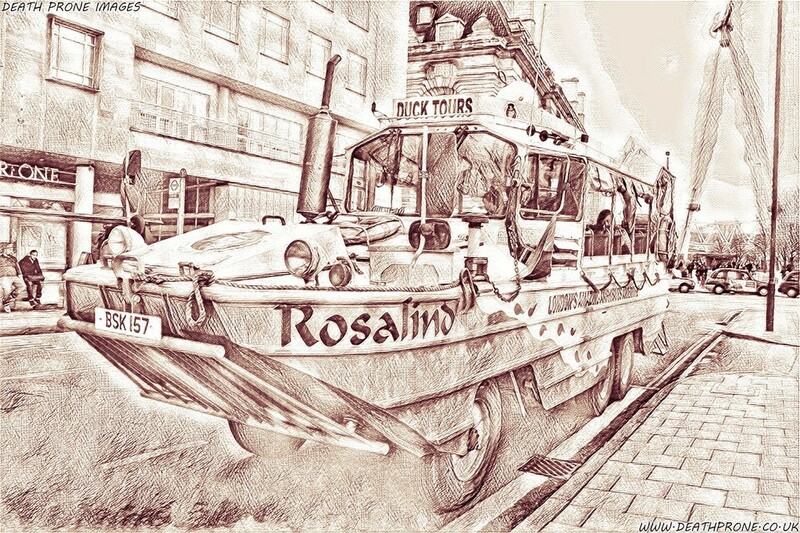 The DUKW (colloquially known as Duck) is a six-wheel-drive amphibious modification of the 2 and a half ton CCKW trucks used by the U.S. military during World War II and the Korean War.